Another award for Parklands Hotel & Country Club! 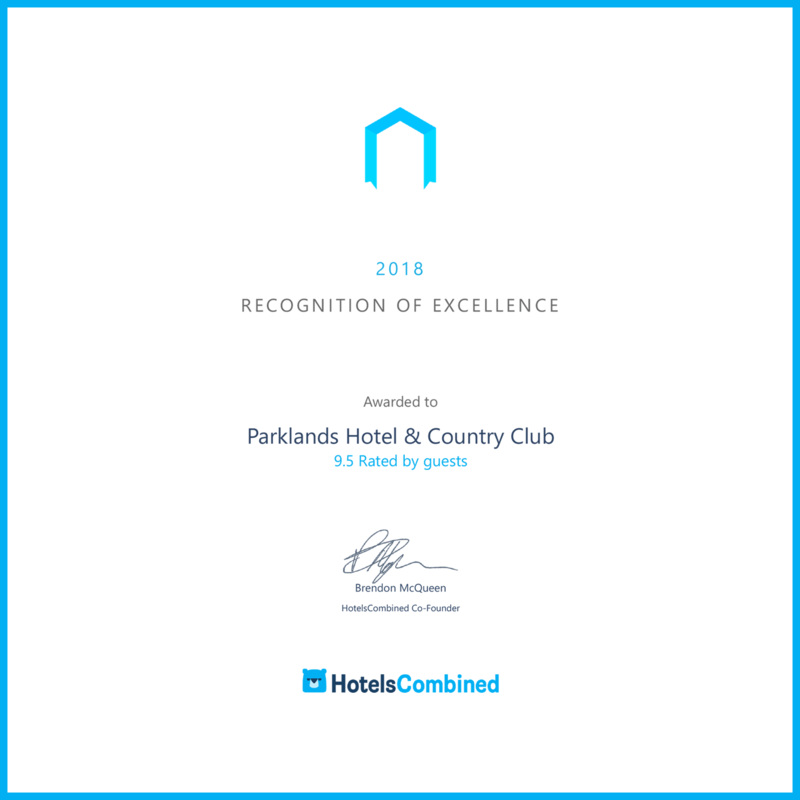 We’re feeling very proud of ourselves at Parklands Hotel after recently added another string to our bow with the arrival of a Recognition of Excellence Award for 2018 from the guys over at Hotels Combined! Hotels Combined undertake large analysis of customer opinions online across millions of points of data, giving them a complete and comprehensive understanding of over one million hotels worldwide. Our award is in recognition of the fact we consistently achieve the highest standard of customer satisfaction. We are absolutely thrilled to receive such a fantastic accolade and want to extend a big thanks to everyone who helped us achieve it – including all of our fantastic guests and our wonderful, professional staff.